If there are no mosquitoes, there will be the Zika virus. Prevention often part from their own homes, preventing certain circumstances may encourage mosquito breeding sites, such as the WHO says, stagnant water, one of the keys. Want to know how to prevent entry at home? 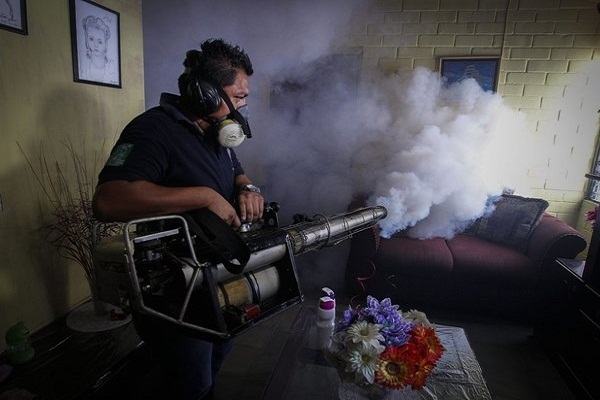 Zika virus has become a global health emergency and it is necessary to take precautions to prevent the spread of mosquito, Aedes aegypti, while being held management to reduce the population of Asian tiger mosquito (Aedes albopictus) another possible transmitter. The female mosquitoes that bites because they need blood to breed, thus being directly responsible for the transmission of the virus. Immediately after cutting, the females lay their eggs on the walls of any container with standing water. Hence the importance of avoiding having both at home and in the surrounding water concentrations in those conditions. – Avoid accumulation of water on the outside of the houses small they are (even in pots, bottles, etc.). – Keep tightly covered water tanks that are for domestic use. – Unclog drains those who are at risk to keep standing water. – Avoid having on the outside of homes susceptible to any kind of fill with water when it rains container. – Eliminate any container that is not commonly used and accumulate water to avoid unnecessary risks (plant saucers, etc.). – Change the water frequently drinkers animals. – Keep clean the grates and gutters and prevent them from accumulating water. A female of this type of mosquito can lay more than 400 eggs in a lifetime, to be held in turn by a mosquito larva between 7 and 10 days, the average life of a mosquito of the Aedes species of 4 to 6 weeks. Therefore, the alert association of the importance of avoiding mosquito breeding sites, which is constitute the greatest risk of proliferation of Zika virus. Any more doubts about zika? In order to meet the increasing demanded of scientific information and quality information on the Zika virus, Elsevier, largest publisher of medical books and literature in the world, has created service center free information on the virus. As indicated by the institution itself, it is a digital tool with different free and opens to the public sections. It has many medical studies, expert advice and rigorous and current online resources for health professionals, managers, media and the general public who has questions or wants to know more can go to this source of information. Also, if you have more uncertainties, you can ask any questions, questions or comments in the section and a team of experts respond. This information center also offers information for patients and travelers, a section composed of current recommendations of the Center for Disease Control and Prevention. In this sense, the very group of patients Elsevier has developed a paper on the zika intended for people who are traveling to countries where it had cases of this disease.